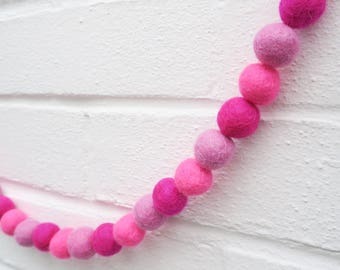 Our handmade felt ball pom pom garlands make the ideal accessory to brighten up any space in your home. They make great decorations for special occasions such as birthdays, weddings, baby showers and christenings. 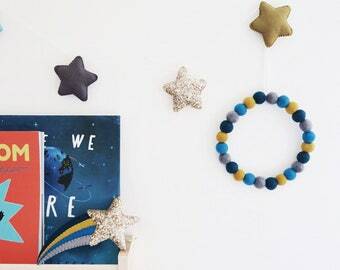 Standard Garland- featuring 28 x 2cm wool felt pom poms. Strung on approximately 2m of cotton thread. 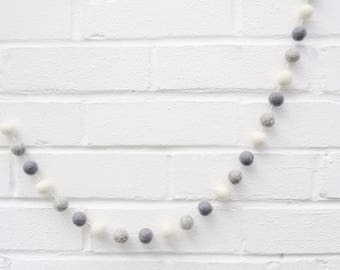 Large Garland - featuring 42 x 2 cm wool felt pom poms. Strung on approximately 3m of cotton thread. Extra Large Garland - featuring 56 x 2 cm wool felt pom poms. Strung on approximately 4m of cotton thread. 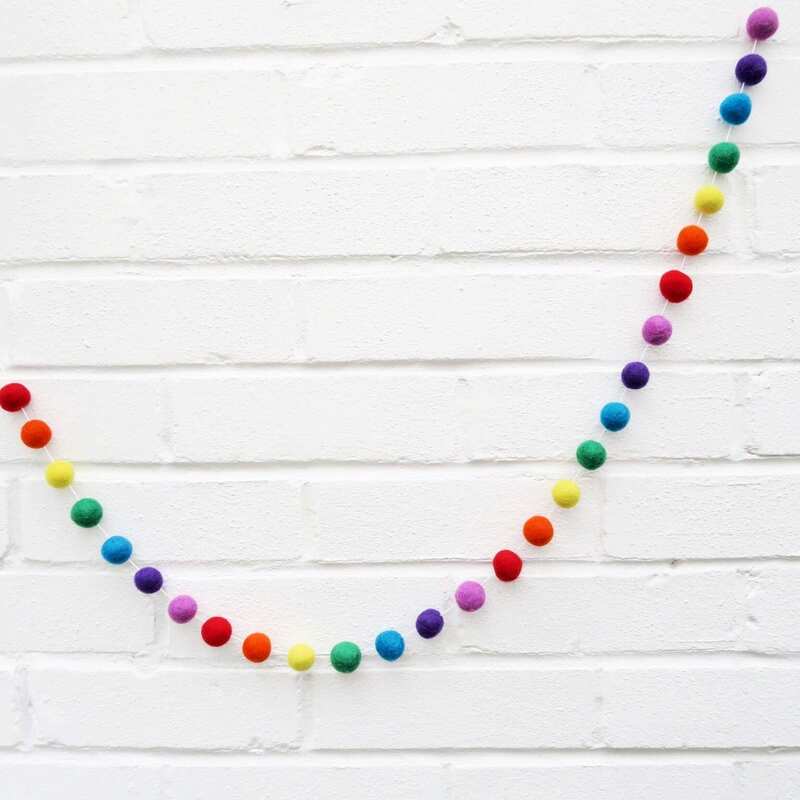 All garlands feature loops on the end for making hanging them easier. You can also choose to either have the black felt balls strung on white or black cotton thread. Please choose from the drop down menu. 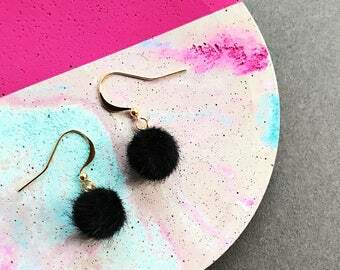 The felt pom poms aren't fixed in place and can easily be moved along the thread to create your own personalised look. Please note: This garland is NOT a toy and is for decorative purposes only. It should be kept and hung out of reach of children. Due to the handmade nature of this product the size and colour of each felt pom pom may vary slightly. + All orders within the UK will be shipped by Royal Mail Signed for Second class post and should take approximately 3-5 working days to reach you. 3-5 working days to Europe. 7-21 working days to the Rest of the World. 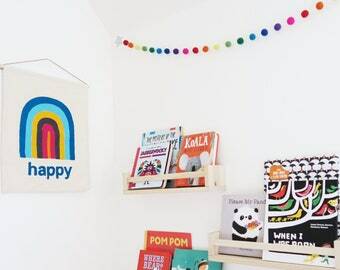 Really super Pom Pom garland for my daughter’s bedroom. V well made and beautiful cheery colours. Thank you!